UPDATED AND STUNNING IN PARK WEST'S WELLESLEY PLACE!! This is the Park West home you have been waiting for! Recent upgrades include bamboo floors in foyer, kitchen, dining area & great room, gorgeous granite counters in kitchen and baths, and plantation shutters throughout. Garage features custom cabinets, workbench, and newer top quality garage door. HVAC installed in 2014. The living space extends to an updated sun room featuring both heat & air. Large 4th bedroom/FROG upstairs. This gorgeous home offers a light & bright floor plan with vaulted ceilings in the kitchen, great room and downstairs master bedroom. 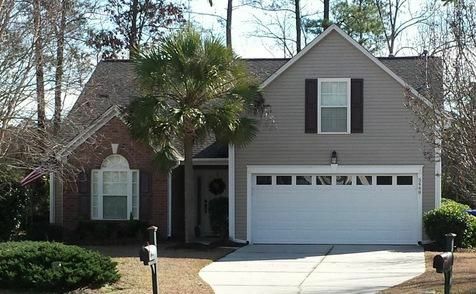 It is in a wonderful location in the neighborhood, and sits on a large lot across from a park on a quiet street. Park West neighborhood amenities include tennis courts, pool, clubhouse & walking trails. Curtains & rods do not convey.